For decades, the paradigm of paternalistic medicine ruled the land. Patients were expected to be polite, passive, and compliant with doctor’s orders. More recently, a new movement has emerged—one focused on partnership, mutual respect, and patient engagement. 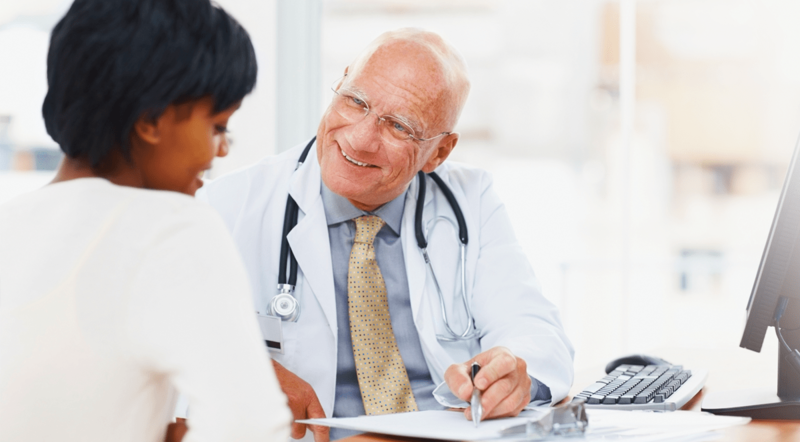 Patient engagement refers to the active patient involvement in their own healthcare decisions; doing so strengthens a patient’s influence on medical decisions and behaviors so that their values and preferences can be prioritized. A key component of patient engagement is the use of shared decision making. Although shared decision making has been around in general medicine informally for decades, its study and formal use in emergency medicine remains in its infancy. Despite the increasing popularity of the term, there are still some misconceptions surrounding how and when it should be used. Clinical equipoise in the ED context refers to the existence of two (or more) medically reasonable options. For example, for the treatment of acute streptococcal pharyngitis, both oral and intramuscular antibiotics are medically reasonable depending on the preferences of the patient. If only one medically reasonable option exists, then informed consent should be sought with “compassionate persuasion,” used as needed.Compassionate persuasion refers to a benevolent attempt by the clinician to persuade a patient to receive care that they have initially refused, given that this care is actually consistent with the patient’s values (eg, living longer). It can also be used to persuade a patient to not receive unnecessary or low-value care, such as an emergent head CT scan for brief, benign headache. It is distinct from shared decision making. The patient must be willing and able to participate in the decision-making process; otherwise, shared decision making is not appropriate. Common reasons for being unable to participate include acute psychosis, acute intoxication, and dementia. Patients may also decline to participate for social or cultural reasons. In these instances, physician-directed decision making should occur. Although this may seem obvious, it bears mentioning: the shared decision-making conversation takes time, though typically less than 5 minutes. If the health of the patient in question, or contemporaneous patients that the same clinician is caring for, would be jeopardized by this time delay, then shared decision making should be forgone or delayed. It should be noted that shared decision making is not “fast food medicine,” a phrase that refers to a consumer-driven approach to medicine whereby patients can select from a “menu” of tests and treatments, some of which are of low (or no) yield. For example, an ED patient may request an MRI of their ankle after a mild sprain, which would be deemed an unreasonable option of virtually no-value by the vast majority of emergency physicians. Shared decision making should not be used in such situations; rather, compassionate persuasion should be employed to help the patient understand why this test is unnecessary. While most emergency physicians perceive that the use and documentation of shared decision making is medico-legally protective, no prospective studies on this topic exist. However, we believe that shared decision making is an effective means to build a rapport with patients by promoting bidirectional communication and respect for patient autonomy. This in turn should lead to decreased medico-legal risk. This conceptual model and accompanying four-step approach to shared decision making (Figure) has the potential to change the clinical paradigm of emergency medicine by helping clinicians successfully implement shared decision making into their practice. Probst M, Kanzaria H, Schoenfeld E, et al. Shared decisionmaking in the emergency department: a guiding framework for clinicians. Ann Emerg Med. 2017, May 27. [ePub ahead of print]. Available at https://doi.org/10.1016/j.annemergmed.2017.03.063. Probst M, Kanzaria H, Frosch D, et al. Perceived appropriateness of shared decision-making in the emergency department: a survey study. Acad Emerg Med. 2016;23:375-381. Kanzaria H, Brook R, Probst M, et al. Emergency physician perceptions of shared decision-making. Acad Emerg Med. 2015;22:399-405. Society for Academic Emergency Medicine. Shared decision-making in the emergency department: an animated video. Available at https://vimeo.com/163153934. Marc Probst, MD, MS, has indicated to Physician’s Weekly that he has no financial interests to disclose. Hemal Kanzaria, MD, MS, has indicated to Physician’s Weekly that he has no financial interests to disclose.